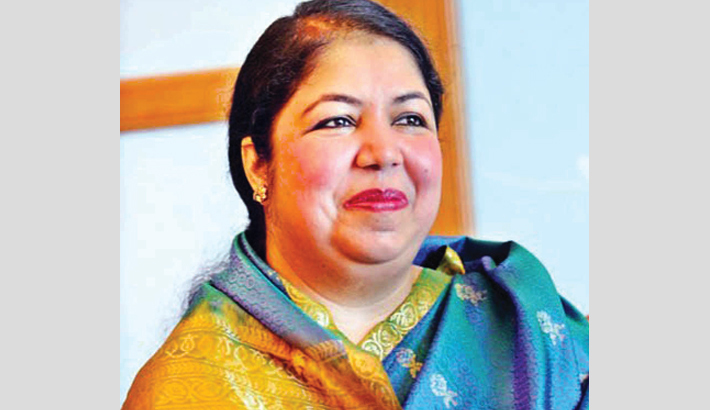 The Jatiya Sangsad Speaker Dr Shirin Sharmin Chaudhury left Dhaka for Delhi on Monday morning to attend the International Monetary Fund (IMF) Parliamentary Workshop. During the visit, the Speaker will participate in the IMF Microeconomic Policy and Capacity Building Workshop for Legislators of South Asia to be held on March 26-27, reports BSS. The Speaker will lead the Bangladesh delegation comprising chairman of the Parliamentary Committee on Estimates Md Abdus Shahid, chairman of the Standing Committee on Public Accounts Md Rustum Ali Faraji, Sagufta Yasmin, MP, Anwarul Abedin Khan, MP, and Ahasanul Islam (Titu), MP. Senior Secretary of Parliament Secretariat Dr Zafar Ahmed Khan and other senior officials saw her off at Shahjalal International Airport here at 7 am this morning. Dr. Shirin will return Dhaka on March 28.